American painter Frederick Carl Frieseke spent much of his adult life abroad. While residing in the French village of Giverny, he and his family lived next door to noted Impressionist Claude Monet (1840 – 1926). 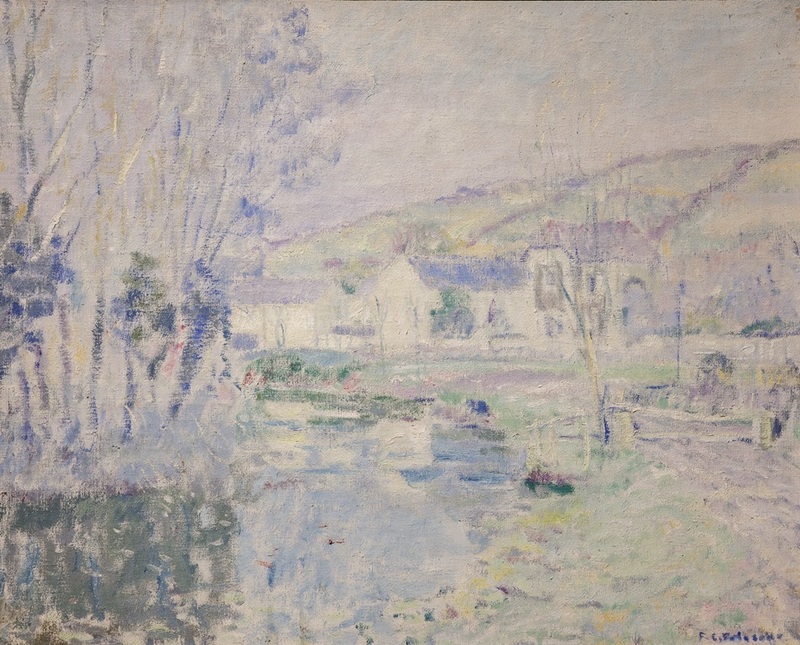 This painting reflects a lighter palette typical of Impressionist paintings and Frieseke’s continued interest in capturing the effects of sunlight.